Have you searched for an ancestor by name in the U.S. Census and not found a record, even though they were born before 1940? If you found her in the 1930 Census but not the 1940 one she could have died or changed her name in the intervening years. But what if she didn’t, yet no relevant record is returned? The name may have been incorrectly transcribed or the written record was unreadable. People sometimes intentionally altered the spelling of their surnames. Or the one Census may have recorded a middle name as the given name and another year census may just list the first name. Even if you use the broadest search filter in the Ancestry.com database, the record may not be returned. Try the same search in FamilySearch.org because their transcription of the image could have identified your name correctly. Here’s a search where I went through this scenario, found the record in FamilySearch.org database and identified the Enumeration District and Sheet Number from the Census image. Then I took those numbers and retrieved the Census image matching my ancestor at Ancestry.com. That collection had transcribed the name with a different spelling. I’m still not sure why the least restrictive search filter didn’t retrieve the record. The transcribed names are clear even though the handwritten document is a mess. 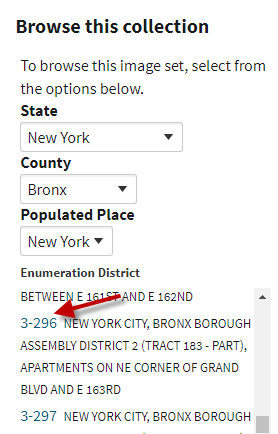 Go to the top right corner of the Census page to find the Enumeration District and Sheet Number. In the Ancestry.com 1940 Census, you can browse by Enumeration District and Sheet Number to get to the image that wasn’t returned by their search engine. Select that link and the first image page will open. Scroll to the Sheet Number matching the record. 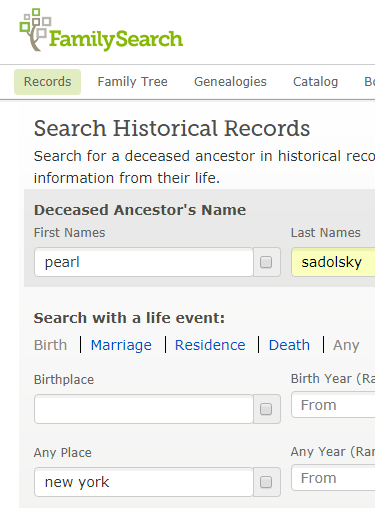 When you get to the page and find the name record, you’ll see why it wasn’t returned by the Ancestry.com search. In this case, the letter “d” in the surname was recorded as “p”, even though it doesn’t look like that in the image. Now you can quickly attach the formerly hidden 1940 Census record of your ancestor to a family tree.